I found my freedom, on top of Truleigh…. indoor things that didn’t involve running uphill. I’m sure Brian T and Sue S didn’t hear this plan, given the ‘expletive deleteds’ that came later! Mark gave us a history lesson of the area we live in, which chiefly involved who had died where and how (quite a surprising number of ways and locations it seems….on top of Truleigh Hill being one). The best comment was when some of us stopped to let a car come past on a track, the car stopped, window down, and the driver said “you’ll have to run faster than that to catch that old guy”…….we looked around and could only see Hugh! He could only have been chasing a pretty woman because what I’ve learned is that that’s the only time Hugh chooses to run fast. I think. Maybe. Funniest sight, not one but TWO men riding unicycles in mountain biking gear! I mean, how do you mountain bike on a unicycle? Where are the brakes? Where are the gears???? Not a scooby!!!! 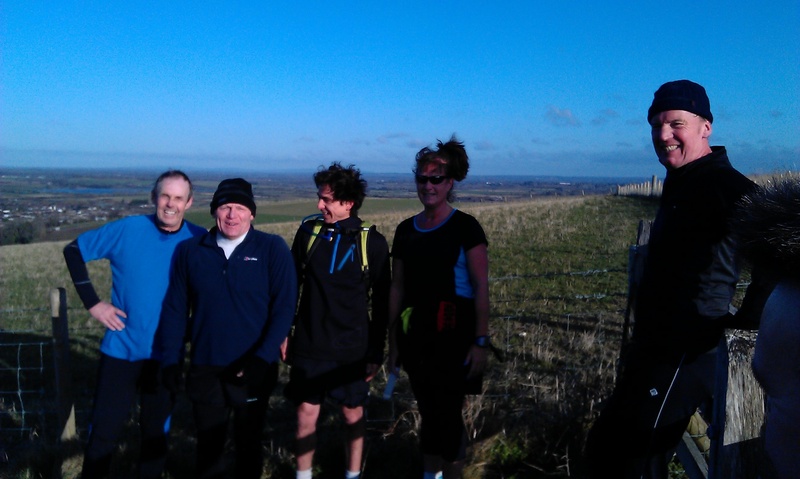 Brilliant morning on top of Truleigh, yet more history from Mark, muddy feet and hot bath at the end, 14 miles for me which will set me up nicely for the Brighton Half in 2 weeks. 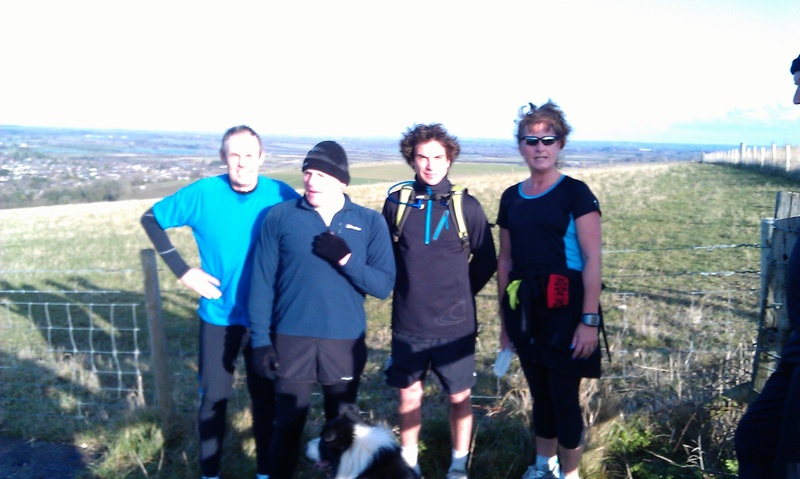 And welcome to new runner Andy, lets hope you come again after the rubbish we spouted on this one! Will I be back? You bet, see you next week. Ps Smiffy didn’t want to be in a photo……not surprised! Keep it up Ben, both the training and the blogging!